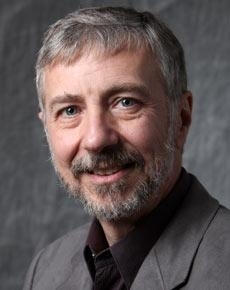 Wayne Gray seeks to understand how goal-directed cognition is shaped by the accommodation of basic cognitive, perceptual, and motor operations to the cost-benefit structure of the designed task environment. These basic elements of integrated behavior, interactive routines, occur over a time span of 1/3 to 3 seconds and are typically beneath the level of our conscious awareness and deliberate control. Hence, non-deliberate forces that dynamically react to our task environment without our conscious awareness shape a large part of our mental life. There is a basic and applied component to this research agenda. The Cognitive Science side focuses on the control of interactive behavior, resource allocation, dynamic decision-making, memory, attention, and motor movement. The Cognitive Engineering side can be characterized by the terms visual-analytics, human-computer interaction (HCI), cognitive workload, and human error. The two types of research feed into each other and are supported by a core of common techniques and methods including computational cognitive modeling, cognitive task analysis, and detailed collection and analysis of behaviors that take less than 1000 milliseconds to occur (e.g., keystrokes, mouse movements, and eye gaze). Professor Gray earned his Ph.D. from U. C. Berkeley in 1979. His first position was with the U. S. Army Research Institute where he worked on tactical team training (at the Monterey Field Unit) and later on the application of artificial intelligence (AI) technology to training for air-defense systems (HAWK) (at ARI-HQ Alexandria, VA). He spent a post-doctoral year with Prof. John R. Anderson's lab at Carnegie Mellon University before joining the AI Laboratory of NYNEX' Science & Technology Division. At NYNEX he applied cognitive task analysis and cognitive modeling to the design and evaluation of interfaces for large, commercial telecommunications systems. His academic career began at Fordham University and then moved to George Mason University. He joined the Cognitive Science Department at Rensselaer Polytechnic Institute in 2002. He is an active member of his professional communities. Dr. Gray is a current Associate Editor for the Cognitive Science journal and the Cognitive Systems ResearchHuman Factors journal (1998-2006) as well as for ACM Transactions on Computer-Human Interaction (1995-2003). He Chaired the Fourth International Conference on Cognitive Modeling (ICCM-2001) and co-Chaired the Cognitive Science Society Conference in 2002. He is the founding Chair of HFES' Human-Performance Modeling Technical Group (HPM-TG). In 2001 he was elected to a 6-yr term on the Board of Governors for the Cognitive Science Society where he served as Chair and member of the Executive Committee from 2003-2006.